Join our Penn-Gamers mailing list if you'd like to keep up with meeting announcements and other messages about gaming in the Philadelphia area. 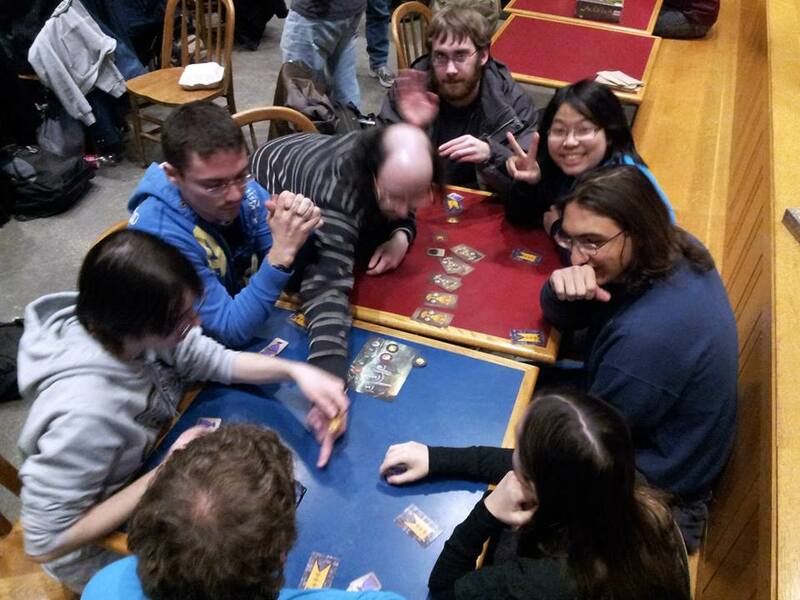 This list is for the use of the Penn Gamers Club and friends to announce meetings and nearby gaming events, to find game players for games, and to discuss games and items of general interest to the Club. Visit our Google Groups page to subscribe or unsubscribe. We're a pretty easy-going group but hey! we're gamers. So, here are the rules for playing the "Gamers List" game. Stick to the topic. Post items of interest to the gaming community at Penn and around Philadelphia. Send personal messages directly to the person involved, if you have their address. Commercial advertisements are inappropriate. Observe common courtesy and list netiquette at all times, even in the heat of argument. All comments that reflect negatively on other groups or individuals are out of order. Respect bandwidth. Messages should be considered and concise. Do not post essays or messages with attachments. Be careful with quotations. When you respond to a posting, quote enough to make your point; you rarely need to repost the whole message. Never post another's private mail without the explicit permission of the writer. Do not post copyrighted materials beyond fair use without permission of the copyright owners. If you use material from our list elsewhere, get the author's permission.